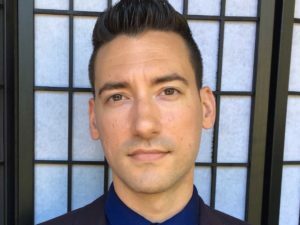 SAN FRANCISCO, Calif. — A federal judge has found pro-life activist David Daleiden, who is known for his undercover investigation into Planned Parenthood’s provision of aborted baby body parts to biomedical companies, to be in contempt for releasing video footage from the National Abortion Federation’s annual conventions despite a court order. U.S. District Court Judge William Orrick ruled that Daleiden violated the court’s February 2016 injunction when he released in May a preview of footage recorded at the 2014 and 2015 National Abortion Federation Convention. The videos featured clips of various Planned Parenthood officials and other abortion advocates making nonchalant statements about the abortion process, including that the baby’s eyeballs fell into their lap or that they had to tear off a leg to avoid technically performing a partial-birth abortion. The recordings were quickly removed by YouTube shortly after their publication. Last week, Orrick also found Daleiden’s attorneys, Steve Cooley and Brentford Ferreira, in contempt as well. According to reports, the men believed the videos needed to be released after California Attorney General Xavier Becerra charged Daleiden with 14 counts of covertly recording confidential conversations and one count of conspiracy to invade privacy. San Francisco County Superior Court Judge Christopher Hite dismissed the 14 counts last month, but granted Becerra permission to refile with specificity as to which videos serve as the basis of the criminal charges. Cooley and Ferreira have contended that the discussions were not confidential as there was no expectation of privacy, and believe that the recent release of the convention footage was a part of Daleiden’s defense since it involved his criminal case. “Criminal defense counsel … do not get to decide whether they can violate the preliminary injunction,” he said. He ordered Daleiden to turn over all recorded footage from the conventions to his attorneys’ custody—solely for defense purposes, and according to the San Francisco Gate, the Federation must also be paid security costs (for disclosing identities through the videos) and attorneys fees, which amount to at least $140,000 thus far. However, the Thomas More Society, which has been assisting financially with the legal battle, believes that the videos are an important part of the criminal trial. “The pendency of simultaneous federal civil cases proceeding side-by-side with such a major state criminal prosecution of multiple felonies was bound to breed the most serious and grave complications, not to mention the miscarriage of justice,” said President Thomas Brecha. “Must the pro-lifers’ criminal defense lawyers seek prior federal permission before summoning or cross-examining prosecution witnesses, or introducing videos or other documentary evidence into the trial record? Must the state court judge, Hon. Christopher Hite, consult with the federal judge, Hon. William Orrick, before ruling on objections to evidence?” he asked. As previously reported, the National Abortion Federation had sued Daleiden in July 2015 to stop his recorded footage from being made public, claiming that it could jeopardize the safety of its members. Orrick issued a preliminary injunction in February 2016 banning Daleiden from releasing any videos recorded at the National Abortion Federation’s annual conventions. Orrick’s wife has reportedly posted statements online that are favorable to Planned Parenthood, and Orrick had previously served on the board of an organization that permitted a Planned Parenthood facility to operate on its property.